It’s remarkable that we continue to see what I consider pseudo-scientific ‘studies’ claiming that DC distribution is significantly more efficient than AC distribution in data centers. These ‘studies’ make the photographic evidence of Bigfoot and UFO’s look like incontrovertible truth by comparison. A widely quoted study published in 2008 claims a 28% efficiency improvement of 380 VDC versus AC distribution. We have looked at this study in depth and have serious issues with its conclusions. I think the only thing conclusive out of this study was that the Green Grid wrote a white paper refuting many of the claims and we published our own white paper (#127) to debunk some of the aforementioned study’s conclusions. 1) They used a 208V AC power distribution which no one would reasonably recommend be implemented today. Reality is that in Europe there is no need for a transformer so the distribution losses, or lack thereof, are the same. 2) They used older 208V UPSs that are much less efficient than today’s commercially available UPS. Their assumption: UPS runs at 85% efficiency. Reality: UPS runs at 96% efficiency. (As a side note: the study assumes the DC UPS is only 92% efficient – in our white paper we found a published DC UPS efficiency 96% which actually improves the DC efficiency). 3) They assumed an old AC power supply which is much less efficient than ones that ship in every piece of IT equipment today. Their assumption: AC 73% efficient and DC 92% efficient. Reality: AC are 90.25% efficient and DC 91.75% efficient. 5) Data was only taken at a single fixed load as opposed to publishing an efficiency curve. The bulk of their 28% number simply comes from the false assumptions of the UPS and power supply efficiency. Using the numbers above shows the AC system to be 86.6% efficient (.96*.9025) and the DC system to be 88% efficient (.96*.9175). This 1.4% difference is a whole lot smaller than the 28% number that gets so widely and easily quoted by the press. What’s even more disturbing is that there has been another Bigfoot/UFO sighting. This time it’s a study claiming a 15% improvement in DC versus AC. We are digging into this one but science is science – there is really very little difference (~2-4% at most) in the efficiency of DC versus a well designed AC system. It’ll be interesting to understand the details of this ‘study’ to see if they tipped the scales in favor of DC. All this being said, there is clearly a significant interest in using DC distribution for data centers and it’s likely that you will see some data centers built this way somewhere in the world. But we should stop kidding ourselves as an industry that there is some mythical amount of energy savings to be had. It’s just not the case. (If you are interested in reading a more thorough analysis, I urge you to read our white paper #127 and the Green Grid white paper #12 and white paper #16). 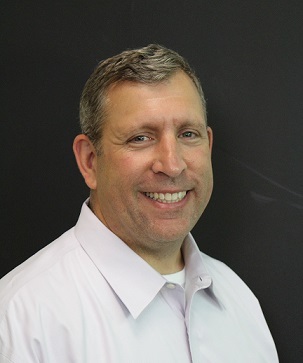 Kevin Brown is Vice President, Data Center Global Offer for Schneider Electric. 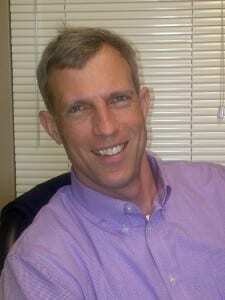 He leads a team of industry professionals to develop and bring to market solutions for the data center market. In this role, he has responsibility to articulate the vision for Schneider Electric’s data center offer and create comprehensive data center solutions that solve real customer problems today. Kevin is an experienced industry professional in both the IT and HVAC industry. He has over 20 years experience at Schneider Electric in a variety of senior management roles including product development, product management, marketing, and sales. This article is far from accurate when it talks about DC end-to-end efficiency and the understanding of the application of Direct Current. I understand you are an AC UPS and distribution company but look beyond your components. Basic understanding of the elimination of layers of transformation of voltages, reduction of the use of copper, space and other materials all add up. Notwithstanding the fact the servers operate on direct current eliminating the real need for AC beyond the utility. You assume an older less efficient DC system in comparison. DC rectifier efficiency is greater than 93-96% over the entire load profile. What is the AC UPS efficiency over the entire load profile since in a 2N system you are operating at less than 50%? This does not include savings over the load profile for transformers, servers, infrastructure, etc. You also assume optimum conditions for the UPS. No generator, phase balance, etc. Nor do you explain AC ripple caused by the UPS and the degradation of batteries (=$$$) caused by the inversion back to AC (a loss). Nor do you explain the fact that DC uses less components (=higher maintenance) and the cost of equipment and installation are >30% cheaper than the best double conversion UPS or off-line inverter AC system with better protections around arc flash. Simply stating that AC efficiency and AC cost of installation and operation are far from the best solution. I have sold AC solutions for over 20 years and know all the secrets and deceptions created by vendors. Don’t take my word for this; ask Syracuse University which operates side by side comparisons. Ask them which system has more failures. Hint, it is not the DC system. Ask Duke University, Intel, EPRI, NTT. Are you saying that they are wrong? DC will be built in this country in big way and sooner than you want. Thanks for confirming that UFO’s and big foot are real. Better chance that is true. I suggest you read our white paper #127 and the Green Grid paper both of which address your efficiency comments. We did in fact account for the entire distribution system including the server power supply. As for the load profile, we publish the load profile efficiency of our UPSs – I have yet to see the same published data from a DC distribution system. As for your other comments such as use of copper, it is difficult to give an intelligent response since you don’t define the two systems you are comparing. Provide some more details and I’d be happy to address. Historically, the argument has centered that there are ‘huge’ energy efficiency gains to be had by going with DC. We don’t think that’s the case and, as is typical with these discussions, once we address the efficiency myth people change the subject and start talking about copper, etc. We stand by our analysis that DC has marginal gains over a well designed AC system. I will also stand by my comment that I believe there will be DC data centers in the future as well. Thank you very much Tobie! I am glad you like the site and my article! I like your study on AC as it sheds more light on the AC vs DC debate. I think the whole goal is energy efficiency and studies like your white paper #127 should be seriously considered before making hasty decisions based on false assumptions of the UPS and power supply efficiency. Keep up the good work! Hi Kevin, please check on the link to white paper #127 as I received ” The page cannot be found” error message while trying to access it. In their “Peer Review of LBNL Study” even the Green Grid confirms DC is more efficient than AC by 5-7%. South Asia country where line and distribution losses in AC supply varies from 15 to 25 percent should work on DC suplly system. Hitachi Achieves Great Success in Data Center Efficiency Conspiracy Theories and Facts: AC versus DC update Pushing the Data Center Boundary Blog: HACs vs. CACs – Do we really need to have this conversation? Does Prefabrication Mean Lower Cost Data Centers?